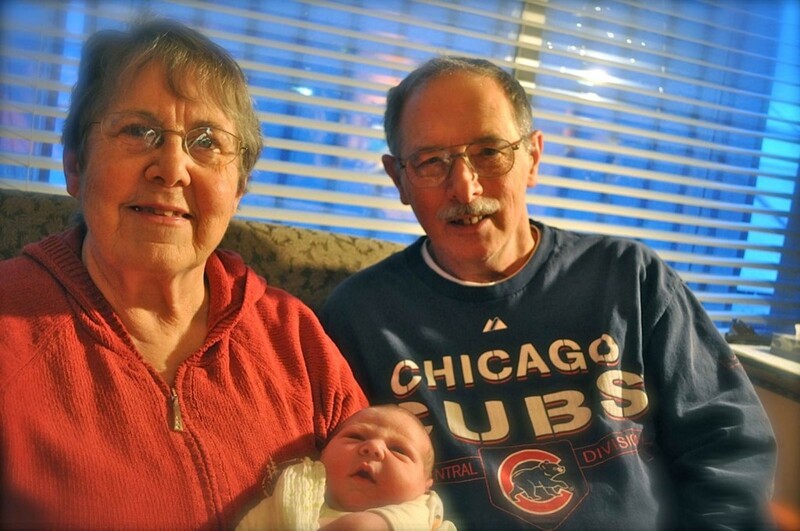 Judy and Dennis Schulte, with Baby Elias. Photo provided by the Schulte-Dwyer family. Our family would like to thank everyone for their support during this time of trial. People from all over the world have helped with their prayers, kind words and financial support. We would especially like to thank the communities of Seattle, Santiago de Chile, Kokomo, Russiaville, and the rest of Indiana. The loss of Dennis and Judy Schulte leaves a void in our lives that can never be filled. They were parents, grandparents, aunt and uncle, brother and sister, teachers, leaders and friends. No words can express our grief, but we will choose to honor their lives by continuing the incredible example of humanity and love they demonstrated. We are pleased to announce that, in their honor, the Judy and Dennis Schulte Scholarship for Future Educators has been established for students at Kokomo, Western and Northwestern High Schools. If we can learn anything from this tragedy, it is that the choices we make daily affect the people around us. Every person must have accountability and a responsibility to their fellow citizens. Living in a society requires each of us to consider others and how our actions might impact their lives. Dennis and Judy were perfect role models for us all in this regard. Their sincere, empathetic, and compassionate attitudes toward others is evident in the community response to this senseless accident and the many stories they leave behind. Dennis and Judy’s daughter-in-law, Karina, and grandson, Elias, have made some progress in their recovery and our family is encouraged. We feel they are both now in stable conditions but there is certainly a long road of recovery before them. We are grateful for the doctors, nurses and entire staff at Harborview Medical Center and Seattle Children’s Hospital in Seattle. Their dedication and care for Karina and Elias has been extraordinary. We take comfort in knowing Karina and Elias are receiving the best care available. An NBC-affiliate in Indianapolis had a camera at the services today, and was planning on including some footage in their 11 PM EDT newscast. We’ll post it here, once it’s available. UPDATE (7:54 PM): WISH-TV out of Indianapolis has a short piece about today’s service online. Sounds as though Seattle relatives and friends who stayed behind were able to “attend” the service via Skype. Dennis and Judy Schulte were more than educators. They were parents, grandparents, friends and neighbors. That’s how they were remembered Wednesday evening as hundreds of family and friends gathered in Western High School’s gymnasium to mourn the popular teachers.